On a stifling summer's day, eleven-year-old Jack and his two sisters sit in their broken-down car, waiting for their mother to come back and rescue them. Jack's in charge, she'd said. I won't be long. But she doesn't come back. She never comes back. And life as the children know it is changed for ever. When a young woman’s body found hanging upside-down from a crucifix in an abandoned church, Detective Lucy Harwin is plunged into a case that will test her to her very limits. Before Lucy even has time to get started, another body is found. And this time it’s someone Lucy and her team consider one of their own; the chief’s mother. Her body too is hanging upside-down, so Lucy fears there’s a serial killer stalking the streets of her small coastal town. On a routine flight from Africa to England, Dr Mason Palmer is tragically killed when the light aircraft he’s travelling on crashes and disappears in dense bushland. Ten months later, Nicole Palmer is still trying to block out the grief of her husband’s sudden death. Until one morning she receives a photo of Mason through the post, along with a cryptic message. A message only he could’ve written. Bent Met police detective DI Frederick Street rules as the ‘Sheriff of Shoreditch’ who loves shaking down the street goons he arrests. Elvis Street is the son who cannot stand his father for being the balls-out crook he caught in bed with his girl. Elvis wants to take Frederick down and end him forever. Neither father or son realises how much the other understands what controls them. Neither father or son will ever back down. 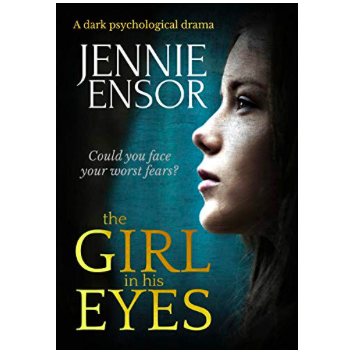 Laura, a young woman struggling to deal with what her father did to her a decade ago, is horrified to realise that the girl he takes swimming might be his next victim. Emma is twelve – the age Laura was when her father took away her innocence. Intimidated by her father’s rages, Laura has never told anyone the truth about her childhood. As the party of the year gets underway, celebrities and patrons pour into the Rocque Museum to see Kim Lord - L.A.'s artist of the moment - stabbed, strangled, shot, and beaten. 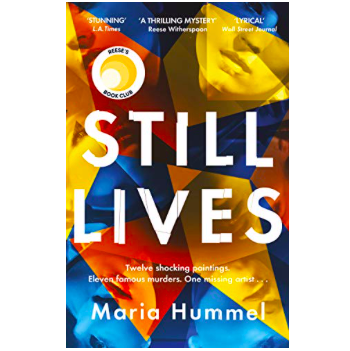 It's the opening night of Still Lives, Kim's new collection of shockingly graphic self-portraits, in which she impersonates the victims of America's most famous homicides, from Nicole Brown Simpson to the Black Dahlia. Seth Beauman can’t sleep. He stays up late, calling strangers from his phonebook, hoping to make a connection, while his wife, Maeve, sleeps upstairs. A crossed wire finds a suicidal Hadley Serf on the phone to Seth, thinking she is talking to The Samaritans. But a seemingly harmless, late-night hobby turns into something more for Seth and for Hadley, and soon their late-night talks are turning into day-time meet-ups.